If you hate running to a convenience store to get your smoking basics, Hippie Butler can be your personal shopper who knows exactly what you love and need. It discreetly delivers all the essentials, gear, and accessories you want, taking great care that everything in your box is in accordance with your preferences. There are 3 subscription types to choose from and shipping is free of charge on all boxes. The Rollers Club boxes represent the most affordable option. They cost only $11.99 per month and bring you rolling papers, hemp wraps, and amazing glass. You can choose whether you want to get papers, wraps or both and whether you want them to be flavored, non-flavored or a mix of the two. 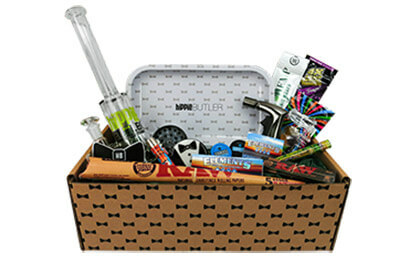 The Butler Box is the most popular subscription that includes high-quality glass and rolling supplies. You can customize it based on whether you prefer the herb or the concentrates and decide if you want flavored, non-flavored papers and wraps or both. The price is $32.99 per month. The most precious box is the Masters Club box, designed for real smoking enthusiasts. This box contains virtually everything you may need to maximize your smoking experience and all items are of premium quality. The price is 139.99 per month and it can be customized based on whether you prefer the herb, the concentrates or you enjoy both. If you are shopping for something in particular, be sure to browse the colorful Hippie Butler store. 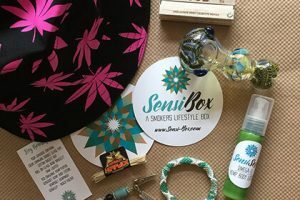 There you can find an impressive assortment of rolling papers, hemp wraps, lighters, rolling trays, pre-rolled cones, affordable bundles, pipes, concentrate gear, grinders, accessories, apparel, and munchies. Our ratings are the result of an objective and independent evaluation of Hippie Butler, generating the final rating that reflects the overall quality of the product. Ratings may change as the service changes. Hippie Butler user rating based on 3 user reviews. Got the Master's Club-Mix subscription box. First box was AWESOME, the main glass piece was worth the whole box. Got a concentrate/water pipe that has a dabber holder & the glass dabber plus a vented carb cap. Clipper Lighter, a nice torch lighter, various wraps & cones, including the Shine brand. Dab mat, stickers, candy, concentrate container, glass bowl, rolling tips, paper. That's what I can remember. ;) I was very happy so I kept the subscription. The longer you stay subscribed, it looks like they up your glass. Can't wait for the second box. They send it out based on when you sign up so if you sign up the first wk of the month, they send it out the first wk. Oh & it shipped in a very well packaged box & we dropped the box & nothing broke. whoo hooo Box is discreet, nothing but HB listed on outside shipping label but you do have to sign at delivery for first box. Not sure after that if you have to sign for it. 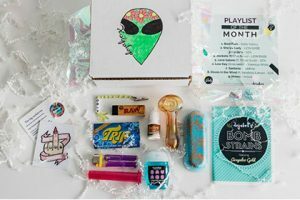 I have tried a few different companies and hippie butler is definitely my favorite subscription box. They have awesome glass every single month and with way more versatility than daily high club, hemper co, or even 420 goody box. I have been a customer since Feb and I haven't been disappointed in any way yet but those others I named all disaapointed me!!! ? Whats better than getting a box full of goodies each month? NOTHING! (lol) such an amazing bang for your buck! So happy I found this place!! There’s no Hippie Butler coupons or discounts right now.